ROME – American sprinter Justin Gatlin won this third successive Rome Golden Gala 100 meters when he clocked 9.75 seconds at the Olympic stadium on Thursday. 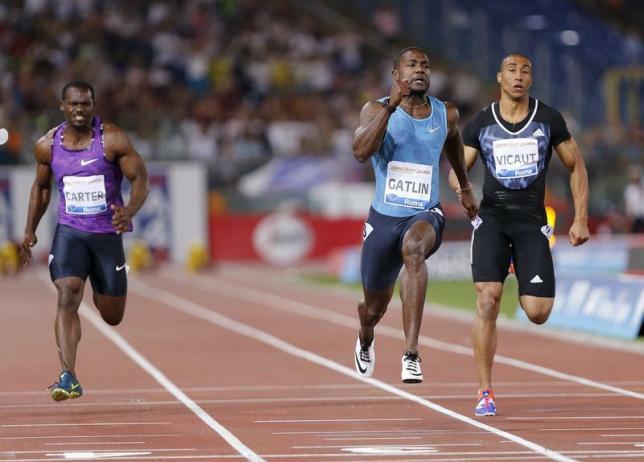 Gatlin, 33, has faced a barrage of criticism since clocking a lifetime best of 9.74 seconds at the opening Diamond League event in Doha from sceptics who point out he has served two doping bans. On Thursday he shot out of the blocks to lead from start to finish and finish in an unofficial 9.74 seconds which was rounded up by one hundredth of a second. At a news conference on Wednesday to promote the first European Diamond League meeting of the season Gatlin, also the world leader in the 200, said it was too early to be considered the world championships favorite in Beijing in August ahead of defending champion and Olympic gold medalist Usain Bolt.